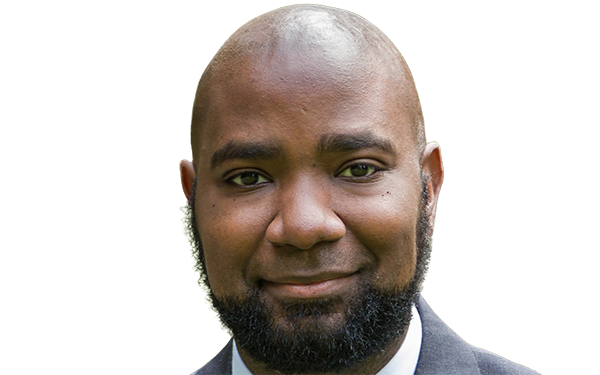 Nate Bowling, a high school government teacher in Tacoma who was named the 2016 Washington state teacher of the year and a finalist for national teacher of the year, wrote a January blog post, “The Conversation I’m Tired of Not Having,” that quickly attracted nationwide attention. The post went viral, racking up hundreds of thousands of pageviews. It was reprinted in the Washington Post, Seattle Times, Hechinger Report, Huffington Post, and New York Observer. Among the piles of feedback: a disturbing letter from a racist lawyer that Bowling published on his blog. 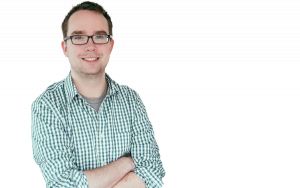 The 74: What prompted you to write the blog post? Bowling: I had gone to a convening of all the state and regional teachers of the year — and I had been to national conferences before, but something happened in my soul listening to people from all over the country who are facing the same issues. I was really struck by how many of the teachers who were state and regional teachers of the year work in high-poverty schools. It became apparent to me that the reason why there are so many teachers who work in high-poverty schools is because we have economic segregation. Essentially, we’ve shunted off a large portion of our population, largely who look like me. The moment that put me over the edge: there was a lady from Montgomery County, Maryland, and she had been teaching for 17 years and never had a white student. That was the last straw for me. I was flying home and I was thinking about it and I wrote the post in like an hour and a half while I was flying. Why do you think it resonated with so many people? People who are practicing teachers don’t talk policy and when they do, they don’t talk frankly. Well, I guess that’s not true. There’s a very belligerent minority within the teaching profession who talk very frankly, but that’s often about adult rights issues and adult teacher issues and not about issues affecting kids. I think the frank nature of my post was a factor. I think the fact that I had just recently been named a national teacher of the year finalist definitely played a role in it because some of the people who spread the word about it were people who were part of teachers of the year organizations. But I think often times people who are teachers of the year tread lightly, and that’s just not how I’m bred and wired. I don’t — if I have a platform, I’m going to use it to be bold. That’s just how my brain works. "There are some people who are die-hard advocates of ‘public education’ but that doesn’t seem to include actual students"
One thing I noticed in the reaction to the blog post was how it seemed to resonate with people on both “sides” — which I don’t like saying, but let’s just say it — of the education debate. I think that suggests that: One, there was something very universal to it, but two, maybe people were reading it the way they wanted to read it. I think that’s very true. The article has two halves. This is the reality that we have, and my stand on where things are. And here’s where I’m putting my energy. I’m putting my energy into teacher quality. There was some pushback. There were people who said I was teacher-blaming, which I don’t buy. There were some people who said that I was ignoring the role of poverty, which I don’t buy either. You’re right, that there’s not a two-sided education debate; there’s a multiple-sided debate. I’m not an ideologue. I don’t have a lot of faith in the reform community because I think the reform community has a bunch of pre-fabricated solutions that they want to impose on systems. And I don’t have a lot of faith in some of the teacher advocacy voices, because a lot of the teacher advocacy voices are teacher advocates and not school advocates or student advocates. Like there are some people out there who are die-hard advocates of “public education” but that doesn’t seem to include actual students, and that really baffles me. That’s not my tribe and I don’t roll with that tribe. I think one of the other reasons why people read the blog post the way they wanted to read it was because it didn’t lay out specific policy prescriptions. You said things that a lot of people could agree on, but people would strongly disagree on the means to get there. What are your thoughts on that point and on some of the actual policy levers to pull to get at the ends that you articulated in the piece? One of the biggest problems with policy solutions is that we come up with policy solutions at a national level. But the policy solution where I live is different than the policy solution in St. Louis. A lot of people sent me the This American Life episode, “The Problem We All Live With,” about school segregation. And I’d heard it before. But what hit me about that episode in re-listening to it, is that I live in Tacoma, Washington, where we have five comprehensive high schools and three boutique high schools. My comprehensive high school is inside of a district that has pretty broad public support and the people in the affluent communities fund our levies, and so if my school was a single high school in a smaller, less affluent district, it would be in a much worse boat than it is. But it’s one of the schools in a larger, wealthier district, so we get our levy funding paid for. I think about Missouri, which has 500 school districts. I really believe that if you show me a school district line, I’ll tell you a story of someone who didn’t want their kids going to school with someone else’s kid. Behind every district line is a story like that. The reason I don’t propose solutions is that the reform community has been proposing national solutions for local problems for 12, 15 years. I didn’t want to contribute to that. "I don’t care about Common Core fights; they bore me"
What I was saying was: “Here’s the conversation I want to have.” As teacher of the year, I have an advocacy voice, and I’m going to be talking about getting the best teachers in front of our neediest students. I don’t care about Common Core fights; they bore me. I don’t care about charter school fights; they turn people who should be advocates into enemies and I hate watching them happen. That’s where I’m putting my focus, and that’s why I didn’t go into policy recommendations. Let me push back on your description of the reform community. Yes, top-down solutions, national solutions to local problems aren’t ideal, but putting power in local hands doesn’t necessarily work either, for some of the reasons you talked about. Those line drawings that you mentioned were often local decisions, so perhaps we do need systems like No Child Left Behind, as imperfect as it was, to create accountability system that protect our most vulnerable students. I don’t disagree with that. One of my concerns about ESSA was that a lot of people who are supposed to care about kids are celebrating the return of local control, but what does local control look like on the edge of an inner suburb? Or what does local control look like in rural Mississippi? I agree. I think there’s a policy pendulum that swings to and fro. It always surprises me when liberals come out against national solutions to problems because the entire basis of liberalism, going back to the New Deal, has been national solutions. ESSA created these odd bedfellows that I found really fascinating. You had the unions and the Ted Cruzes of the world joined at the hip. At the same time, the only thing that I’ve seen work is better teaching. I don’t care what standards a teacher is using. I don’t care what curriculum a teacher is using. A better teacher gets better results. But the standards and the curriculum matter, right? They do, they do. But that’s not my fight. That’s something you and I briefly discussed on Twitter, which is that some people misinterpreted your blog post as saying, “No one should be talking about X, Y, and Z” where it was actually, “This is what I want to talk about, personally.” Is that right? If I hadn’t pounded it out in an hour, on a plane flight, maybe some things would have been included. If I was writing it again, I might have said some things differently. That was a very accurate representation of where my head was in the moment and where my heart is about the work that I need to do right now. So you’re part of the teacher policy and advocacy group Teachers United. Are you optimistic about teachers leading the charge to improve education? And talk to me about your experience with Teachers United. Teachers United was founded on the principle that teachers should have a third way that brings teacher voice into education policy at the policy formulation level and not at the “hey, do this” level. One of things that happens currently, in many locations, is that policies created on high by bureaucrats are imposed on practitioners with no input. Teachers United is trying to fight against that. Where Teachers United got in trouble was we had our policy priorities, and members of the reform community had their policy priorities. I felt like there was an expectation from some members of the reform community that we be the teacher voice for their policies, rather than we be the teacher voice for the policies that we think are going to impact students. So that’s where I fell out of love with a lot of members of the reform community. How was Teachers United received by the teachers’ union? The union leadership has been very good to us. We haven’t had problems with them. There are some members of the union who have been less receptive and that’s not surprising. Our entire purpose as organization was to be a third way and being a third way, we were rejecting some of the labor mentality within the profession. I’m a supporter of my union. I love my union. I want to have due process and protections for my job but I don’t buy hook, line, and sinker every seniority-above-all policy that my union passes or supports. To what extent do you think race, racism, and equity issues have been ignored in the education debate? One of the things that annoys me the most is when I see flyer for a school that I know has like three black students — and some of the charter schools that I’ve seen are very guilty of this, and so are private schools — and they’re on the forefront of all their literature. We ignore the evidence that so many of the outcomes in K–12 have racial overtones. We ignore disproportionate discipline; we ignore disproportionate push-out of black educators. We ignore, we ignore, we ignore. A few too many people have bought the lie of post-racial America. I’d argue as a nation we’re actually regressing on racial issues, not progressing. It’s funny because I’ve been advised for much of my adult life to not be the black guy who talks about race because “the black guy who talks about race” becomes a marginalized figure. But that’s where my voice needs to be right now. The reform solution to the equity issues is to say, “We need to have tougher accountability measures for teachers and schools that disproportionately serve kids of color. We need to give families of color more choice.” Do you think that’s an important part of a solution? Is it a distraction? If you don’t believe in charter schools then why aren’t you doing everything you can to make our urban public schools places where families of color want to bring their students? Let’s change gears to talk about teacher evaluation. If the focus is on getting excellent teachers in front of the kids who need it most, I would think that teacher evaluation is an essential part of that. Do you agree, and how would you think about designing a system? What I would propose is a four-part system of teacher evaluation. One part is the observations by my evaluator, being my administrator or an outside evaluator — somebody who knows teaching. Part two would be observations by my peers. I would love to be able to give feedback on my peers, and have them give feedback on me. Part three is student perception surveys. Students sit through teaching every day; they know what good teaching and bad teaching looks like. My students tell me my colleagues who do a good job, my colleagues who do a bad job, and tell me when I don’t do well. They give me the best feedback possible. And part four: some measure of student growth — but I don’t think that a measure of student growth should exclusively be some state standardized tests, or particularly the ones we have. You said to me in a previous conversation that you think there’s a role for a universal standardized assessment in the evaluation process, but you’re not a fan of the way it’s been implemented. I echo that. I think there’s a role for an outside, norm-setting feedback mechanism, but the ways in which it’s been done, I can’t cosign. So I think there needs to be a measure of student growth but I don’t think standardized tests are the only way to get to that. Tell me more about why you think the current system, using standardized tests for evaluation, has not been successful. What’s wrong with it as is? Today I’m teaching a class. I have a student, I’ll call him Allen. Allen works at Papa Murphy’s, a pizza restaurant. Allen is supporting his family working at Papa Murphy’s. If Allen doesn’t work at Papa Murphy’s, then Allen’s family would get evicted. Today I had to wake Allen up four times in class because he’s dead tired since he closed Papa Murphy’s last night. Is Allen’s performance on a given exam — based on the fact that he’s working eight hours a day after school until 1 o’clock in the morning — a reflection of my teaching? That’s my issue. The context matters. "I don’t know of any organization that became world- class by focusing on the bottom"
There has been a lot of talk that the evaluation systems have focused too much on ‘punishing teachers’ — you hear this phrase ‘test and punish’ — or that there’s just not enough support for teachers through the evaluation systems. What’s your experience been like? It’s about implementation. It really depends on who is implementing the policy and their policy lenses. If I could zoom out to a bigger question about teacher quality: One of the things I keep thinking about is we have approached teacher quality all wrong. All of our conversations about teacher quality are, “How do we evaluate, punish, and push out the least effective teachers.” And there’s no conversation about how to keep and empower the most effective teachers. When the Seattle Seahawks went seven and nine in 2011 and missed the playoffs for the third year in a row, they didn’t go and see who’s our ninth linebacker or who’s our 24th defensive back or what color uniform are our practice squads wearing. They went out and hired a new coach, Pete Carroll. Pete Carroll went out and got a quarterback, a running back, and a secondary. I don’t know of any organization that became world-class by focusing on the bottom. Yeah, I think there are bad teachers and I don’t want bad teachers in my building. But the vast majority of the policy energy has gone towards focusing on bad teachers, and what has happened is that in the process you’ve made a lot of effective people miserable. I do think there’s something of a paradox that in most places where you have these evaluation systems, still a tiny fraction of teachers are being rated ineffective. And even fewer teachers are being fired because of that. Here in New York I found that only one tenured teacher had been fired over the course of multiple years based on the evaluation system. Just one. It does seem that there is a perception that may not be based on reality. But the perception may be based on some real implementation challenges and some of the rhetoric. Totally true, but the problem is that the public perception is the opposite, which is a leading contributor to the teacher shortage we have right now. In Washington state, if every person who’s in a teacher prep program right now got a job, we’d still have a shortage. The reality may be that only one or two people getting fired, but that’s not what the culture is saying and that’s not what the dominant discourse of the profession is. What’s happening is that the profession is being degraded and people who we need to be in classrooms are leaving the profession. I do think that the perception is a two-way street though. There has been a lot of rhetoric about getting rid of bad teachers that has almost certainly been overheated. But there’s also been a lot of rhetoric from people who are skeptics of reform about how there’s this huge conspiracy to get rid of bad teachers or there’s a sense of mass firing or “test and punish,” which may not be a reflection of reality. You will get no disagreement from me. Let’s talk about your experience as teacher of the year in Washington. What’s that been like? Have you enjoyed it? What’s surprised you about it? It’s been really funny to talk to other teachers of the year and just see how different the program is nationwide. I’m still in my classroom full time. You’re calling me on a classroom phone. I’m staring right now at a student who didn’t do her homework and I need to get her to do her homework. I’m an advocate for my students, but I’m also my students’ teacher, and so every time I say yes to something, I’m saying no to my students. I’ve done some speaking engagements, but I probably turn down three to one. That’s limiting my ability to tell my students’ and my story, but my students are most important to me. It’s a delicate balance that I’m dealing with right now. For example, I was out yesterday to go down to the Washington state legislature and I met with the House Republican and Democratic caucuses and was able to address them about education policy issues. But that means I wasn’t in my classroom. What I try to do is use my classroom Twitter feed to bring my students into the work that I’m doing. I live Tweet my days when I’m out of the classroom. I posted on Twitter pictures of the capitol, etc. Still I basically am working a job and a half. For the moment it’s making the job I care most about harder, but at the same time it’s opening doors. Many things that I’m saying are more refined versions of things I’ve been saying for five years. That’s one thing I’ve said to the legislature: You’ve had me up for this award but I and other teachers have been saying this for years. Don’t let this be a one-time thing. This needs to be an ongoing conversation. How do the legislators receive you? Do they genuinely listen to you? Do they respect you? By the right thing, you mean put more funding into schools, right? The right thing is to create equalized funding in Washington state schools. Which is required by the state supreme court, but they’re ignoring. You go to rural Washington state, an agricultural community, and they’re only basically getting the local state allocation of funding, which for a starting teacher is $34,000. How are you going to hire somebody who’s qualified to teach high-level mathematics for $34,000? The answer is you’re not. Teaching is not about the money, but come the hell on. Teaching is not about the money but living is about money. And teachers have to live. One thing that’s resonating with me right now is that people got into teaching knowing about the low pay, and low pay is something you can deal with. But low pay and not being treated like a professional is a bridge too far. That’s what’s happening right now. We’re not losing teachers because of the low pay; we’re losing teachers because they don’t feel like they’re being treated like professionals in their buildings or by their districts or by their states. I hear that a lot in the debate, but I honestly don’t know what that means exactly. There are some really terrible principals out there who are treating their teachers like crap. I don’t have one. I love my principal, but when I go to meetings I hear stories. It varies widely. It’s about principal leadership and about how the principal is given the freedom or not given the freedom to implement policies and mandates. It can vary building to building. My principal hires well, supports us, and leaves us the hell alone. That doesn’t happen everywhere. I don’t have my curricular choices mandated to me. I’m wearing a shirt right now that says “black nerds unite.” I’m doing that as a celebration of black scholarship. I can imagine working some other school where that’s controversial or problematic. My principal has no problem with that. He values me as a professional and supports me. But there are many people out there who aren’t in the same boat.